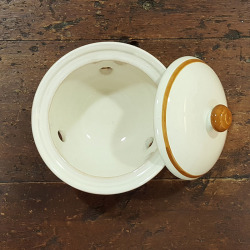 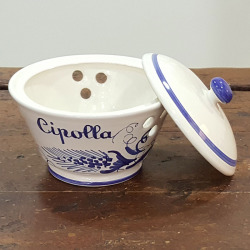 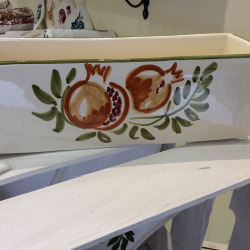 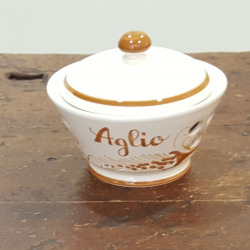 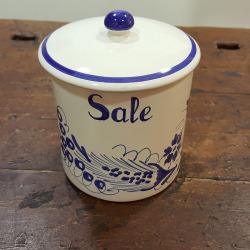 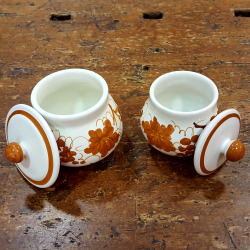 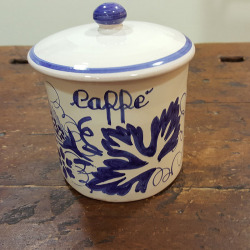 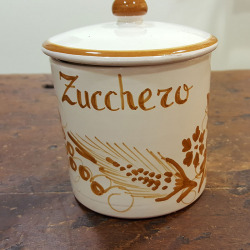 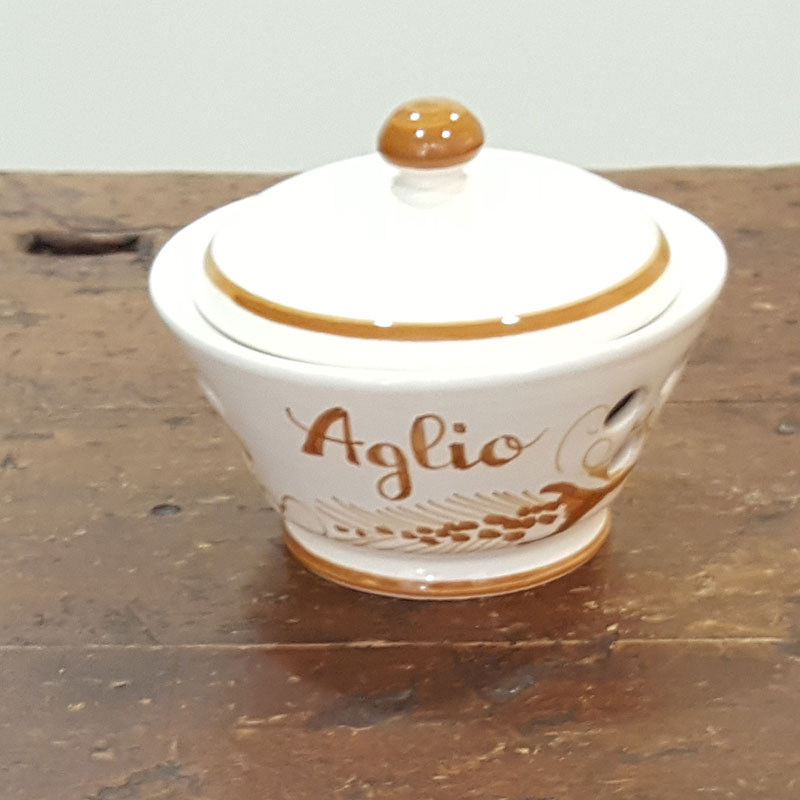 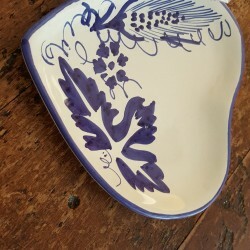 Garlic container port in sleek and sturdy pottery made and decorated by hand. 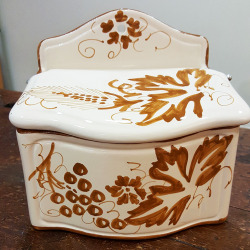 An object interesting design that thanks to its distinction of being decorated by hand makes it a unique object even kitchen furniture. 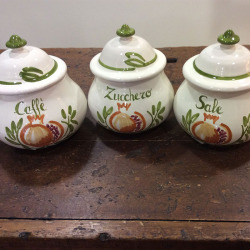 Comfortable and practical door garlic with lid article also collector in combination with our other jars onion door. 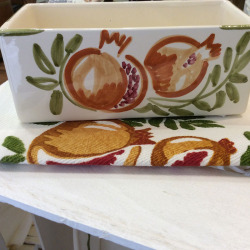 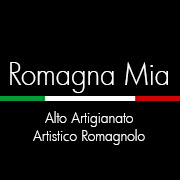 Available in different colors and decorations.